Born in 1925, Malcolm Mercer has lived most of his life in and around the Manor estate in Sheffield, and left Pipworth Road School in 1939. After seven years in the retail trade, disrupted by three years in the Royal Naval Patrol Service – Minesweeping (1943-1946), he trained as a teacher at Sheffield Training College and taught in several Sheffield schools before being appointed Head of Parson Cross School (1968-1983). He gained a Diploma in education management at Sheffield Polytechnic in 1971 and an MA in education at Sheffield University in 1979. He contributed to two of the major histories of Sheffield city and is the author of The School at Parson Crosse 1630-1980 (1980), Schooling the Poorer Child (1996) and A Portrait of the Manor in the 1930s (2002). Unlike his wife Jean, whom we also interviewed, Malcolm did not pass the 11+, He left school at 14 to become a shop assistant. However that never prevented him doing what he wanted to do and as a teacher and historian he has written himself into the history of Sheffield, its schools and the community to which he still belongs, the areas of Manor and Park. Malcolm has always read and he came from a family where there were books about. I never saw father read but I’ve still got a number of his books. He was a newspaper man and though I never saw him read he’d bought a lot of books when he was younger including Shakespeare and I’ve got them now, and Southey and poetry by Goldsmith. So yes, he must have read. My mother read Blackmore’s Lorna Doone and I’ve still got her copy and I can remember her reading Lorna Doone. So I think they must have read when I’d been put to bed. Malcolm’s life was rich. He was a Boy Scout, and he has always been an active member of the church community at St Swithun’s on the Manor. He read constantly, like Jean his main source of books being Park Library. There were two tuppenny libraries on the Manor in the ’30s but the thrilling tales provided by Park Library seemed to satisfy the fourteen year-old’s need for adventure when he returned from working in a shop during the early 1940s. The one I think that struck me most was Robert Louis Stevenson’s Treasure Island. But, I mean, I read quite a great deal, The Scouts of the Baghdad Patrol by Lieutenant Brereton, Thirty Nine Steps by John Buchan. The Last of the Mohicans by Fennimore Cooper, The Three Musketeers and then I read Dumas: Twenty Years After, The Man in the Iron Mask, Count of Monte Cristo, Vicomte de Bragelonne, Louise de la Vallière, The Queen’s Necklace, Chicot the Jester and The Forty-Five Guardsmen, all by Alexandre Dumas and of course Conan Doyle – The Return of Sherlock Holmes, Hound of the Baskervilles, Adventures of Gerard. 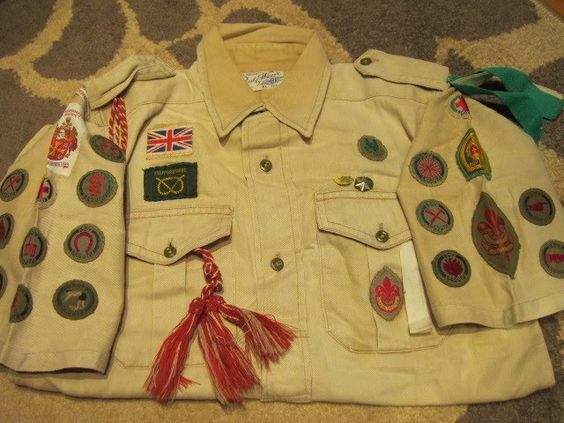 He also describes being ‘enthralled’ by a geography series on BBC radio for schools, which inspired an interest in ‘South America and the Amazon and the history of Aztecs and the Incas and I read books that were linked to that.’ The survival skills of Manga, a boy living in the Amazon, appealed to the Boy Scout as he prepared for his Camp Craft badge. Malcolm’s boy scouting had practical consequences. His knowledge of signalling meant that in 1943 he was posted to serve on a minesweeper for the duration of the war. There were few books or readers on the minesweeper but Malcolm had taken Palgrave’s Golden Treasury to sea with him. I had it throughout the war until … we were anchored, we were sweeping first in the Bristol Channel in order to make it safe for ships to cross from Cardiff and Swansea over to North Devon and we swept from there and we were anchored on one occasion and we drifted and the bottle of ink that I had went all over the pages of Palgrave’s Golden Treasury, the copy that I had so that was the end. I’ve got another copy but it’s not the same. But that was the only book. I didn’t have a Bible although I was a churchman. After the war, Malcolm returned to Park Library where he found his favourite authors, Thomas Hardy and Charles Dickens. Though Malcolm began by reading such novels as The Tale of Two Cities for their stirring qualities, he was soon, as he began to think about the education and care of children in Britain’s cities, reading novels as social history. ‘Oliver Twist for instance, workhouse children, and I compared it because I’ve researched a fair amount about the Sheffield Workhouse’. Malcolm still has in his possession a little notebook in which he listed all the books he read during the war years 1941 and 1942. Each letter of the alphabet has two pages, and just a look at the page for B shows how widely Malcolm’s curiosity ranged. You can read Malcolm’s and Jean’s interview here. This entry was posted in Readers voices, Sheffield readers and tagged adventure stories, Boy Scouts, local history, Manor, Park Library, Sheffield, Sheffield readers, teaching by Mary Grover. Bookmark the permalink.